“A Murder of Crows – Renewal/Resurrection” (2013). 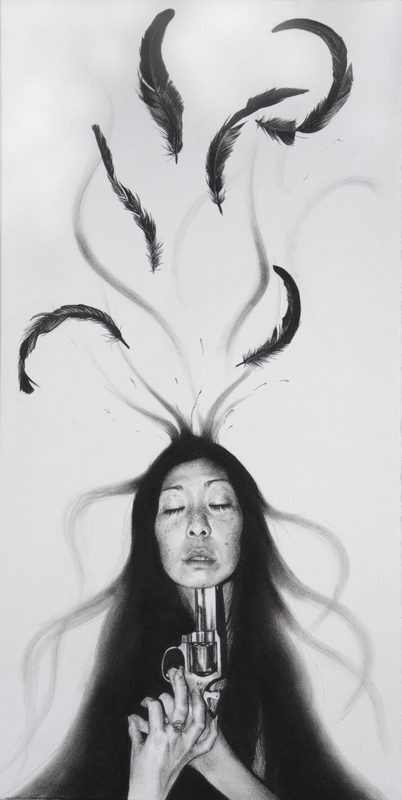 A dark and provocative piece by Stephanie Inagaki exemplifying her symbolic use of feathers, hair, and the dichotomous juxtaposition of life and death, beauty and decay. For people who may not be familiar with your work, you have a deeply personal style, often creating extraordinary self-portraits, and you utilize recurring symbolic motifs such as crows, human hair, feathers, and kimonos. Your work also has a very strong sense of your cultural heritage, drawing a lot from Japanese mythological archetypes. How do all of these things come together in your artwork and what meaning do they have for you? Through our memories and histories, we attach meaning and associations to objects. I have used these objects as symbols to create a mythological narrative in order to process my experiences. For example, crows generally have a negative connotation, but for me they represent Love and Loyalty. You had your first solo exhibition earlier this year at Century Guild. Can you tell me some about what that was like and what your feelings were leading up to it as well as after? It was a whirlwind! My show was initially slated for the Fall of this year but with scheduling, we decided to push it forward. I had about a month and a half to finish twelve pieces. It was an intense challenge, since I have never worked that fast, but I was up for it and it was really exciting. “Nesting – Ningyo” (2014). One of the four “Nesting” pieces, combining charcoal drawing and collaged washi paper to beautiful effect. You, Allan Amato, and David Mack have all worked together before and been featured together in different galleries and exhibitions. What is your dynamic like together? We get along really well. Sometimes you get friends clashing, especially when it comes to artists who tend to be A Types, but the work flow is organic and productive. 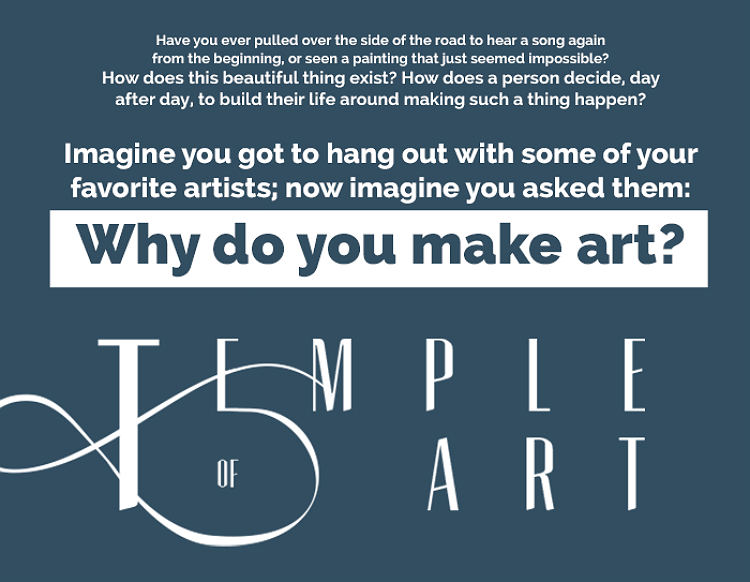 How did you come to be a part of the Temple of Art project? Allan Amato is one of my best friends and has been a huge supporter of my art. Temple of Art is very unique, not only in its scope and the number of artists involved, but also because it’s a collaborative project, and the artists’ styles and aesthetics are so distinct and eclectic. How does it feel to be part of this collective of people and what has the collaboration process been like for you? It is really exciting to be in a project with such a wide range of talent. Being based in Los Angeles, I’m grateful that I’ve been able to participate in all the events we’ve had. This collaboration opened up a new working process for me. I started incorporating collage and colour into my body of work because of this. 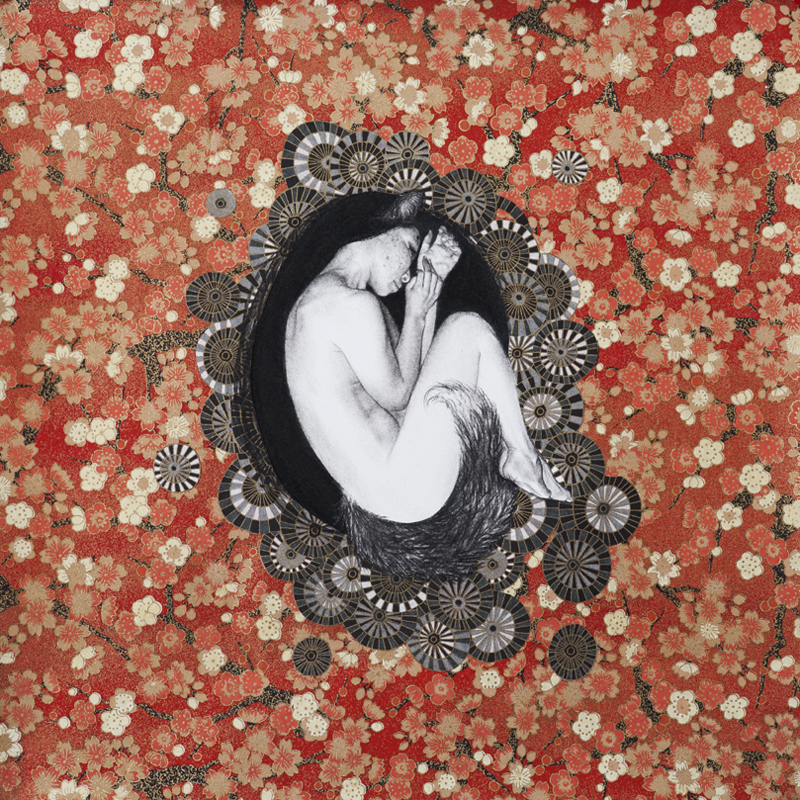 Nesting – Kitsune (2014). One of the gorgeous pieces that Stephanie produced for the “Metamorphosis” show at Century Guild. A lovely example of her recent growth artistically and expansion into the use of collage and colors. One of the most stunning and haunting portraits I’ve seen in Temple of Art so far, is a powerful portrait that Allan did of you, where your hair is rising up in these inky tendrils. Could you give me an insight into this portrait? Thank you so much! My portrait for the project was done before the inception of Temple of Art. Allan wanted to make an artist’s portrait of me as my ‘medium,’ which is charcoal and it ended up being the portrait he chose to have me work on. It was a challenge since he gave me a compositionally finished portrait, unlike most of the straightforward black and white photographs. Portrait of Stephanie Inagaki, taken in 2012 by Allan Amato, which helped inspire the creation of “Temple of Art”. Temple of Art had a panel at San Diego Comic-Con. What was the whole Comic-Con experience like for you? It was exhilarating and nerve-wracking at the same time! I hadn’t spoken in front of a huge group of people for a very long time, let alone being interviewed amongst some of the best creatives in the industry. I was extremely honoured to be able to sit as equals with such talent. You’ve done a number of Kickstarter projects now. How do you think crowd-sourcing is changing the way that creators and their fans interact? I think it’s a great way to connect with your fans directly, especially since patrons haven’t existed like they did in the early 1900s. It allows for fans to help support your work by simply sharing the information or by being able to own a piece of artwork, tiered at different monetary levels. It’s a win-win situation. The Temple of Art documentary is a really fascinating and profound opportunity for both people involved in the creation of art and for people who enjoy artwork to have a kind of insider’s view into the creative impulse of artists and to see different artists’ approach to their work. What do you hope people will take away from Temple of Art? I hope it gets to inspire, motivate, and inform people about the beauty of art and the creative process behind what drives it. And just for fun, if you could meet any artist, living or deceased, from any era, who worked in any genre, who would it be? “The Vampiric Deception of Disembodied Souls” (2014). 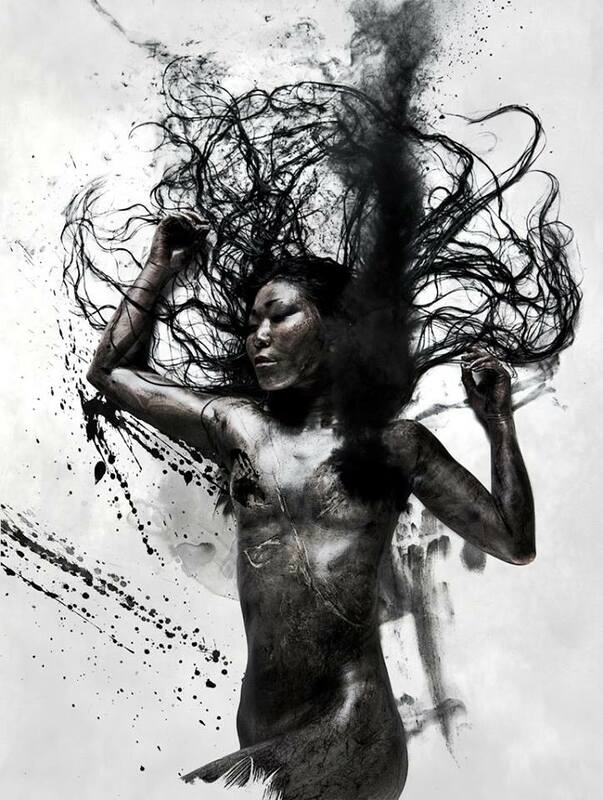 Stephanie Inagaki is an exceptional up-and-coming artist and one of the founders of Temple of Art, along with Allan Amato, David Mack, and Bill Sienkiewicz. Earlier this year, Metamorphosis, her first solo exhibition was held at Century Guild in Los Angeles, where some of her most inventive works were displayed to enthusiasm and lauded for their originality. 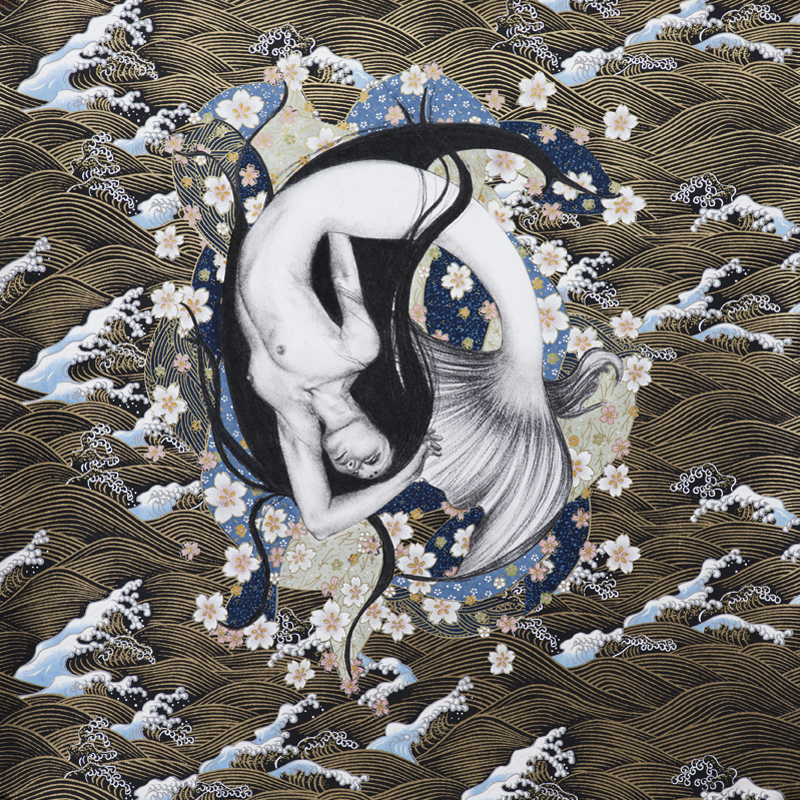 Over the past few years, she has produced an impressive body of work, which recalls traditional Japanese images and imbues them with a modernity and individuality all of her own creation. In addition to her artwork, she also creates unique pieces of jewelry as part of her Miyu Decay line, which can be found HERE. 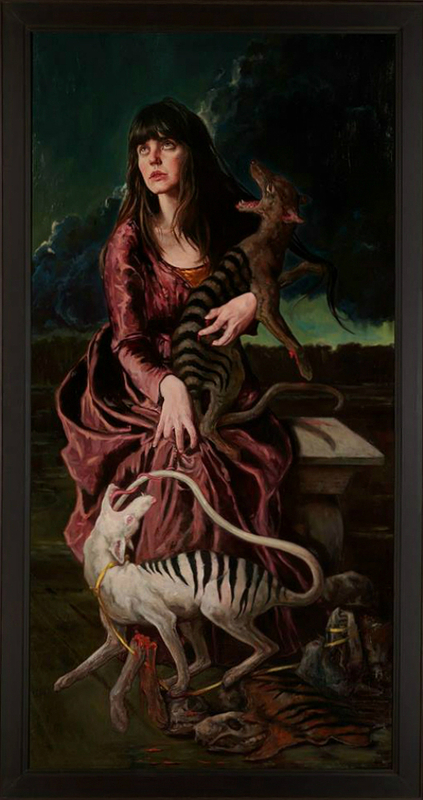 I was very excited to find out that my friend, contemporary symbolist painter Gail Potocki, would be contributing a piece to the Temple of Art project, which I was already very excited about. I’ve been an admirer of Gail’s work since I first came across it about five years ago. Being intrigued with the project, as well as very curious how she became involved, and what the experience was like for her, I asked her if she would be willing to agree to an interview. Thankfully, she agreed as she generously tends to do, and it was a real pleasure having the opportunity to speak with her about the process. “Thaw” by Gail Potocki (2008). 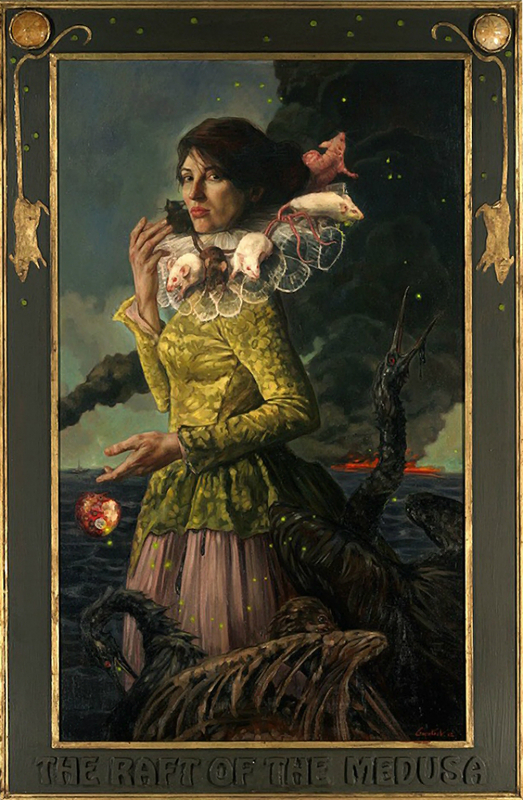 In this wonderful painting, which recalls the 19th Century Romantic and Pre-Raphaelite tradition in its execution, Gail explores the human effect upon the environment, most notably anthropogenic climate change and the detrimental impact on the ecosystem. Could you describe some of the themes and subjects that you are attracted to and that inform your work? I tend toward themes that resonate with me either in a specifically personal way or with my world view. Much of my work, up to this point, has incorporated ideas about humans’ effect on nature and the environment and I try to bring these issues into the viewers’ consciousness without being heavy-handed. I like to paint people, particularly ‘extraordinary’ people, so I’ve created works based on circus sideshow performers/freaks from history. I’ve strayed in a variety of directions over the years, but always seem to come back to the environmental works because I think these issues are the most critical ones facing us today. “The Raft of the Medusa” by Gail Potocki (2012). In the painting, the opulently-dressed woman discards a half-eaten apple into the ocean, which has been devastated by oil. On the woman’s collar is a group of rats who cling to her like a human raft, and among the rats is the experimented upon Vacanti mouse. In the above painting, The Raft of the Medusa, the title of which is an allusion to Théodore Géricault’s painting of the same name depicting a human disaster that takes a toll on human lives, Gail shows the toll of man-made disasters, such as the Exxon Valdez and BP oil spills, as well as Fukushima, and how these events are so catastrophic to animal life and to the environment. Gail became involved with Temple of Art at the invitation of the project’s creator, photographer Allan Amato, who took her photo and then gave it back to her to paint on in order to shine a light on the process of creating artists and to look into the creative impulse. While Gail has utilized multi-media elements in her work, particularly in the ornate custom-made frames that she utilizes as an elegant extension of her paintings, she had never worked with photographs in this way before. I asked her about the process and what kind of challenges it presented. Your artwork has always functioned on multiple levels at once, both in terms of your symbolic subject matter and your use of materials (such as incorporating the frame into the overall painting or utilizing different materials). This is the first time that photography has been an element of your work, right? What was that like for you? I was a bit intimidated by the project because I wanted to use the materials that I typically use and was not sure how to work with oil paints on the photo surface. Also, there was no room for mistakes! If I obliterated the photo in any way that was not intentional, there was no going back. “Following the Straight Line of a Circle” by Gail Potocki (2013). In this piece, Gail looks at the relationship between humankind and animals, and how our collective actions can trigger extinctions. The extinct Tasmanian Tiger, as it is often called, the thylacine is shown here being domesticated by a beautiful woman. However, the human attempt to control nature results in annihilation, represented by the albino thylacine forming a canine ouroboros, a symbol of self-destruction as well as rebirth. You’ve done so many gorgeous portraits over the years. 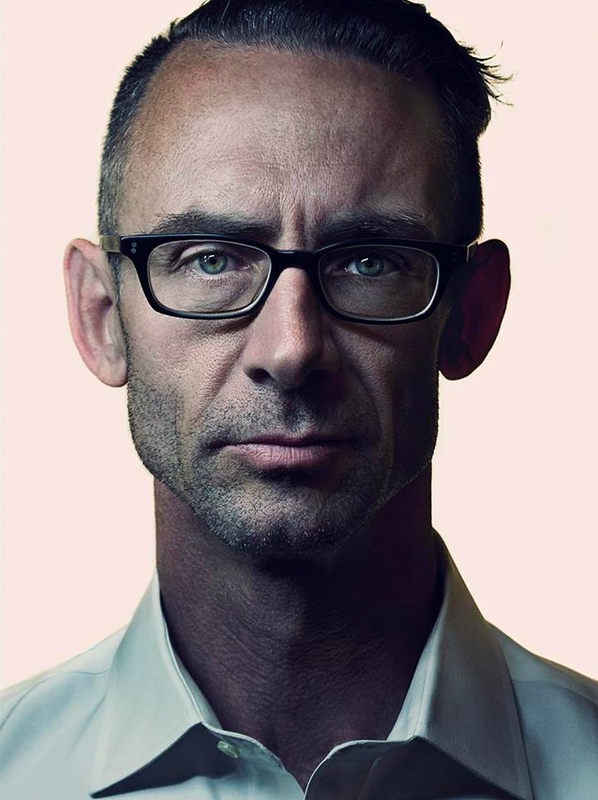 While some of these portraits have been of your close friends and colleagues, others have been of people from the past, long-dead silent film actors or sideshow freaks. One thing that you have rarely done is self-portraits. Has this presented a challenge for you or was it strange at all to kind of turn around and to be your own subject? I have a difficult time looking at my own image and don’t like to look in the mirror often either (I don’t think I cast a shadow anyway). I am way too critical of myself to look as closely as I need to in order to do a self image. 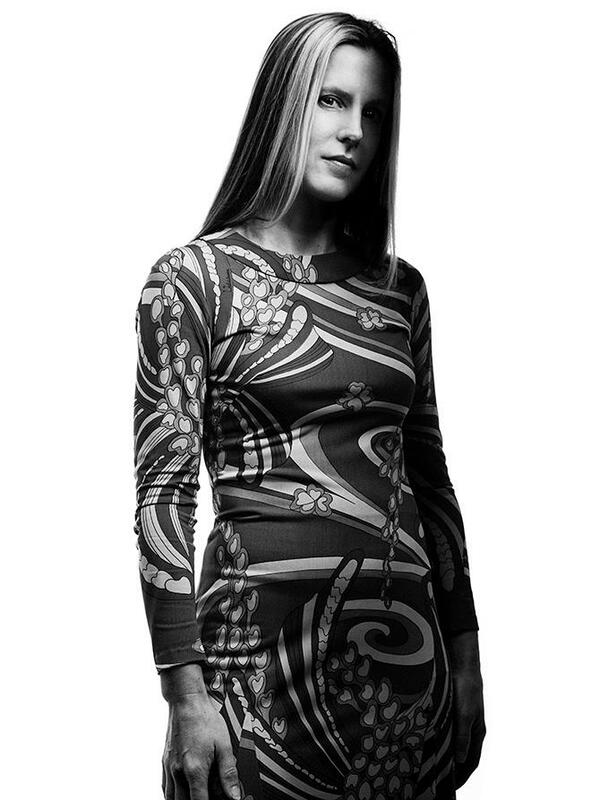 The portrait Allan took of Gail, which Gail will collaboratively alter and modify to create a uniquely individualistic image representative of her style. Throughout your career, your paintings have been part of numerous exhibitions,conventions, and featured in publications, where your work was shown alongside the works of other artists. With Temple of Art, you’re in very diverse and talented company. Have you had the opportunity to meet many of the other artists involved? I have met a few of them over the years, primarily while in L.A. or at San Diego Comic-Con. I think I am a bit of an outsider to the group and that the rest of the artists involved in the project are better acquainted. One of the unique things about both the Temple of Art documentary and the exhibition is that it has the ability to change people’s perspectives about the lives of artists. But, perhaps even more so, there is also a great opportunity for insight and reflection for the artists themselves. Have you learned anything about yourself or your peers during this project? It was interesting seeing how the other artists see themselves as well as how Allan sees them. I also found the correlation between the artists’ physical personality and their art to be interesting and often thought provoking. In the modern era of television and the internet, people have become accustomed to “getting their art for free”, and while this has its positive aspects, like having more exposure and educating people about different artists and movements, it can also make it difficult for contemporary artists to make a living doing what they love. Where do you think the balance is for artists who want to gain exposure, but also want to make a living, all the while remaining true to their creative impulses? Sometimes you have to do some things that are more commercial to pay the bills, then you go back to doing what you’re passionate about. It’s a give and take, and to avoid either aspect is irresponsible, albeit in different ways. For any creative people out there who are struggling to venture out and explore their potential, or who are struggling to maintain motivation, what advice or encouragement would you like to give them? How about “life is short, dammit!! !” I started out as an artist late in life so I always feel like my time is ticking away. That monkey-on-my-back makes me a bit anxious, but at the same time, I do seem to get things accomplished. Maybe a similar little dose of neurosis would help them! Kickstarter and other similar programs are great for creative people to see their projects materialize, as well as for backers to feel like they are part of the process. So far, so good! What would you like to see people take away from seeing Temple of Art? They will get to see what a talented and flattering photographer Allan is and get a dose of a wide range of artistic styles. 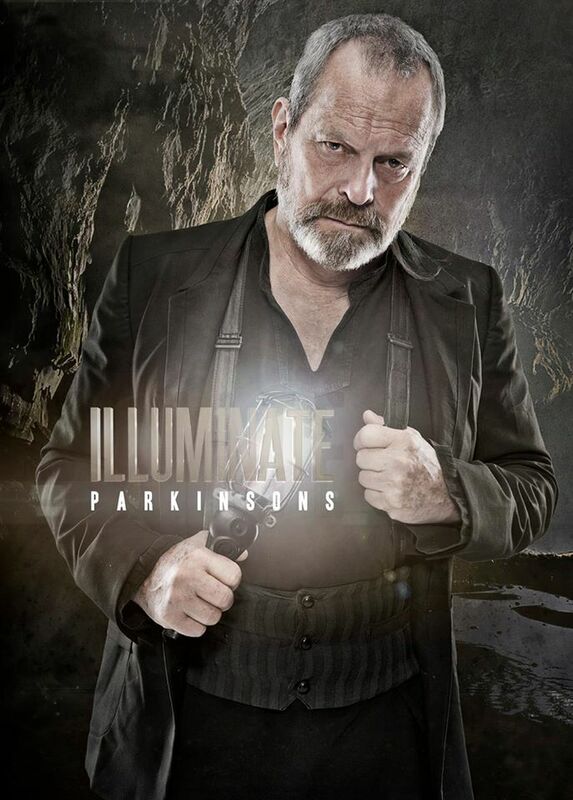 Everyone involved in this project is a top-notch artist and each has a unique style and vision. Allan Amato’s portrait of artist Gail Potocki. For those unfamiliar with Gail Potocki and her painting, here’s a little bit about her. Gail grew up in Detroit, Michigan and didn’t begin her professional art career until she was almost forty. Her artwork is done in the symbolist style and her techniques are those of, 17th 18th, and 19th Century master artists, though her subject matter is relevant in the most potent and immediate sense. The paintings and drawings she produces recall the styles and movements of the past, but the subject matter is modern and resonant for our times. 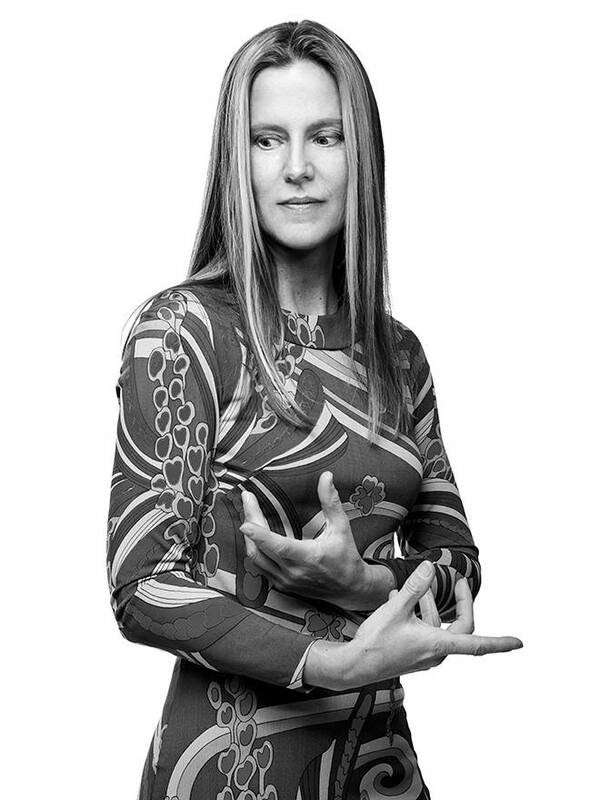 To see Gail’s finished collaborative portrait, please, support the Temple of Art Kickstarter. Gail Potocki is exclusively represented by Century Guild. What is art to you? Have you ever given that much thought? Everyone has a different take, has their own perspective on what constitutes art and what art’s function is within society, and the diversity, and yes, even divisiveness, to the answers you would receive from people all over this planet would be as complex, varying, and individualized as each form of art. If you were to ask me, I would say that art is an expansive form of expression, which spans multiple mediums and pervades all cultures, whether you are trying to convey a story, evoke emotions, provoke thought, reflect reality, or project your perception of reality. Art is one of the oldest means we humans have of communicating. Unlike the spoken and written word, however, art can transcend language barriers. Two people from cultures that have had no interaction can look at a painting, a photograph, a sculpture, or a performance, and the emotions they experience may be nearly identical. Conversely, two people from the same culture, the same country, the same small town even, who have similar interests and perspectives, may look at the same work of art and see in it two completely different things. Art can be aesthetic, it can be utilitarian, it can be a tool, and it can even be a weapon. Above all, art plays a part in the formation of cultures; reminding us how cultures were born, showing us how they mature and evolve, warning us how they may sink into decline, and encouraging us as to how they might be salvaged. Art is like a magical machine, partly logical scientific and partly intuitive and mystical, that generates empathy. That empathy enables disparate perspectives to come together in harmony and to open new doors into realms of new potential. Therefore, if art has such intellectually and emotionally nourishing potential to offer society as spectators, what is the impact of art on the artists themselves? Are they exorcised of personal demons, enraptured in ecstatic expressions of pleasure, trapped within an experience that they cannot articulate to others, lost in a blissfully surreal dream oblivious to the real world? Well, it seems unfair for someone who is himself not an artist to dictate what art is to others, so the best way to find out what goes on in the minds of artists and what art is to them, is to do exactly what artists do in their own pursuits: communicate. The visual medium is unique in that it possesses the ability to immediately engage the viewer on a deep and personal level. This is true of paintings, drawings, sculptures, photographs, collage, and motion pictures. The moving image, especially when combined with sound, retains all the power of the spoken word, of music, and of visual arts within a singular medium. It may be the best modern method of expressing ourselves to the fullest degree. If that is true, as I believe it to be, then the upcoming film, Temple of Art: The Documentary, provides viewers of all kinds with a unique opportunity to peer into the minds and psyches of some of today’s most talented and remarkable artists. Perhaps more fascinating than knowing what constitutes a work of art is understanding why artists are compelled to make art. And that is exactly what Temple of Art endeavors to find out; where does that impulse come from for each artist. With over fifty artists participating in the project, Temple of Art is unprecedented in its scale as a collaborative effort, and its goal, to find out why artists create artwork, is an elusive one. But that isn’t stopping photographer, and now documentarian, Allan Amato from asking the hard questions during candid and insightful interviews with the artists, including Jason Shawn Alexander, Shaun Berke, Matthew Bone, Jon Burgerman, You Jung Byun, Rovina Cai, Vincent Castiglia, Coop, J.A.W. Cooper, Zelda Devon, Roman Dirge, Jensine Eckwell, Scott Fischer, Teresa Fischer, Ken Garduno, Jenna Gibson, Rebecca Guay, Karen Hsiao, Hueman, Kurt Huggins, Stephanie Inagaki, Dorian Iten, Kozyndan, Dongyun Lee, Matthew Levin, David Mack, Jim Mahfood, John Malloy, Nicole Maloof, Dave McKean, Soey Milk, Junko Mizuno, Grant Morrison, Satine Phoenix, Gail Potocki, Dan Quintana, Greg Ruth, Marc Scheff, Christiane Shillito, Danni Shinya, Bill Sienkiewicz, Zak Sabbath Smith, Kyle Stecker, Barron Storey, Dave Stoupakis, Brian Thies, Justin Volz, Kellisimone Waits, Kent Williams, Jasmine Worth, Christine Wu, and Ping Zhu. With a brilliantly eclectic and diverse roster of artists such as this, Amato will venture into the minds of the artists, revealing the stories and the motivations behind their work. This is truly an epic undertaking and one which I hope art enthusiasts the world over will appreciate and benefit from. There are only four more days to make sure that this incredibly unique project is fully funded and realized. To support the Kickstarter project, CLICK HERE.